Love this...that wreath embossed in white on kraft is AWESOME. Beautiful wreath Kristie, love the white embossing! Oh what a beautiful card!! I love the rounded stitched panel! The red and kraft are so pretty! Absolutely beautiful, Kristie - the red, white, and kraft are stunning! 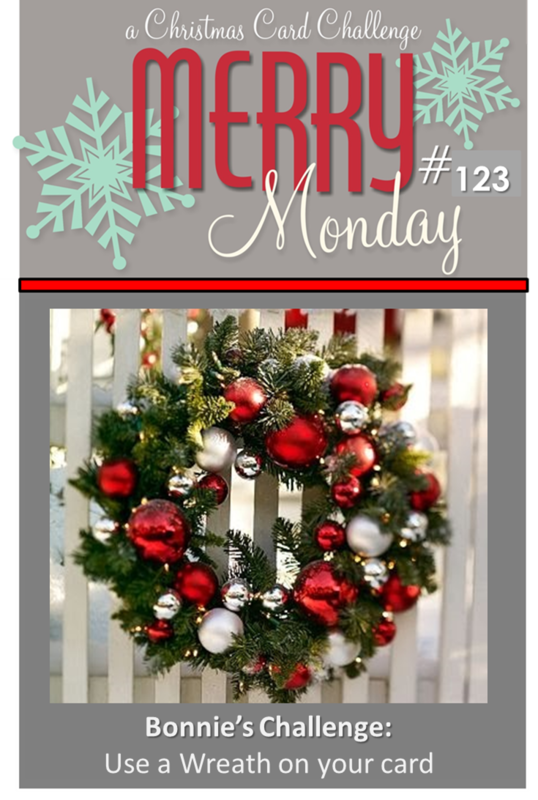 I love this wreath and the way you've embossed it and decorated it with those tiny sequins! So pretty! Hope you have a another creative week! Love the crisp white embossing. Beautiful design. Pretty Clean and simple card! Like the way you repeated the stitched look. Love this card! I was looking for a wreath that I could fit a small creche into just stamped or stenciled and I think this might be it. The colors would be perfect. That wreath is pretty fantastic! I love how it looks in white with the red "berries!" Everytime I see this stamp used, I remind myself that I must buy it! This is no exception! Fabulous card - I love the curved edges to the panels! Beautiful Christmas card! Really like the white embossing! Love this, so classic, clean- FRESH!!! No surprise!!! Fabulous wreath and love the overall design of your card!! Hope you have a wonderful week! Fantastic wreath Kristie, I love this great layout. Gorgeous!! I love everything about your card Kristie!!! Love the curvy layers, the colors and the pretty wreath! What a lovely white wreath!! 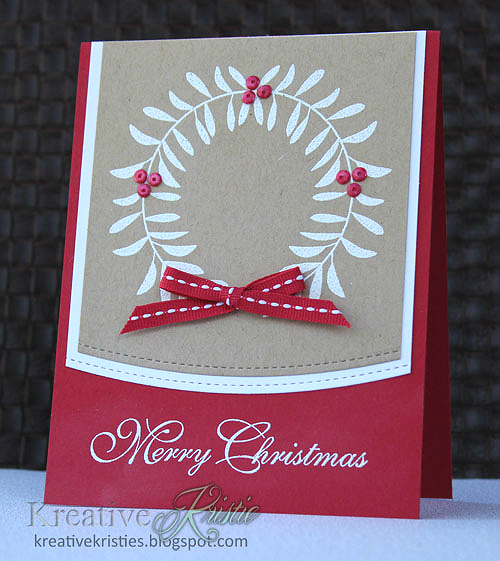 Gorgeous card in Kraft, red & white!